Carpetbagger fans rejoice! 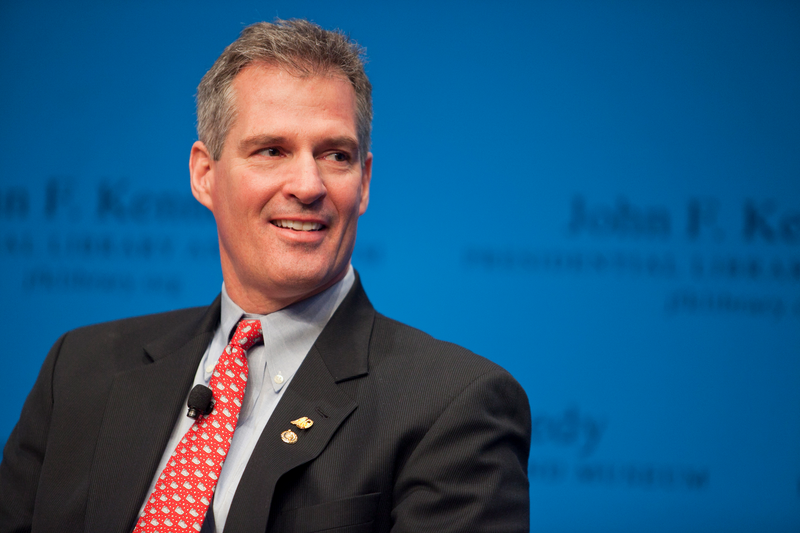 Former Republican darling and centerfold*, Scott Brown, is officially going to run for Senate in the great state of New Hampshire. While his formal announcement won't be made until next week, it had been confirmed that (if he wins the primary) Brown will challenge Sen. Jeanne Shaheen for her seat during the midterms. We met with quite a few Congressmen that day and all of them decorated their offices very similarly. They all had decor that reflected their home state (landscape photography, maps, little souvenir tchotchkes, pictures of themselves with constituents, etc.) Everyone that is, except Scott Brown. Brown's office was decorated with one thing and one thing only, Pictures of Scott Brown. Not even pictures of him in front of landmarks or with other people (save one family portrait), just him. And to top it off in most of them he was smiling straight into the camera like the worlds most enthusiastic Sears catalog model. While we sat on the couch and waited for the intern to go and wrap up whatever it was that she was completely in the middle of doing before being unloaded on delegated to, we got to stare at a giant blown up version of this very picture of Scott Brown waving from his GD pickup truck. Well I hate to break it to you Scott, but I know people from New Hampshire, and they don't take too kindly to schmaltzy Massholes with pickup trucks that have never seen a day's labor. So I don't think you should start packing for Washington just yet. **Oh wait, we totally did do that.